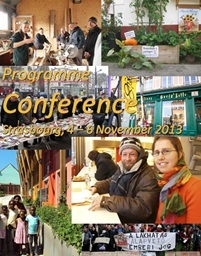 02/10/2013: On November 4th and 5th 2013, the Social Cohesion Research and Early Warning Division, in partnership with the European Commission is hosting a major international conference on citizens' engagement in reducing poverty and inequalities. The conference is the culmination of the Joint Programme of the same name and will present and debate innovative, emerging social initiatives that involve citizens at grass-roots addressing the social issues relating to the financial crisis and increasing precariousness of European societies. For more info on the conference and the Joint Programme: (Conference website). 22/02/2013: On February 21st and 22nd 2013, the Social Cohesion Research and Early Warning Division, in partnership with the European Commission has organised a major international conference on ‘Poverty and Inequality in Societies of Human Rights: the Paradox of Democracies – Proposals for an Inclusive Society’ as part of a broader project on “Human Rights of People Experiencing Poverty”. The Secretary General of the Council of Europe Mr Thorbjørn Jagland and the EU Commissioner for Employment, Social Affairs and Inclusion Mr László Andor opend the conference which gave a fresh, modern and participatory vision to the fight against poverty and inequality in today’s Europe. Over 400 participants, 68 speakers, 6 workshops, more than 100 organizations among local authorities, civil society organizations and NGOs for 55 countries attended. The two-day Conference was a unique occasion to discuss solutions to the impoverishment and increasing marginalization affecting our society in a participatory manner; it brought together institutional actors, researchers, activists, associations, and networks, as well as people living in poverty and precariousness and other citizens involved in related issues. For more info on the conference, material and videos: (Conference website). 20/02/2013: The Council of Europe has launched a new meteorological guide in a European context marked by increasing inequalities and precarious living conditions. The institution invites us to give political meaning to this issue: impoverishment is a collective problem for which responsibility should be shared by all of society. It results from social interactions, which is why our efforts to act make it possible to restore equity and social justice. This book links the issue of poverty and inequality to that of human rights and democracy and redistribution policies. It questions the capacity of the existing legal framework in the fight against these phenomena, especially when they affect populations such as Roma and migrants. In a novel way, this work proposes to link the question of poverty and inequality reduction to phenomena such as access to public spaces and the fight against waste of resources. It also puts forward innovative proposals to move towards equal access to adequate resources for all, avoiding waste and ensuring that everyone's voice is taken into account. 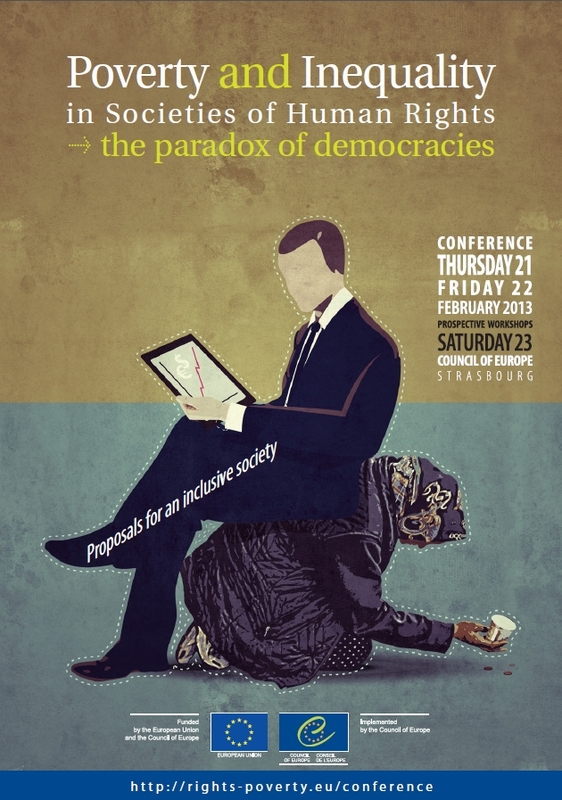 The methodological guide, published under the name “Living in Dignity in the XXIst Century - Poverty and Inequalities in Societies of Human Rights: the Paradox of Democracies?”, will be released soon but an (executive summary) is already available, see link. 20/02/2013: We are at a point in history where economic inequalities are more widespread each day. 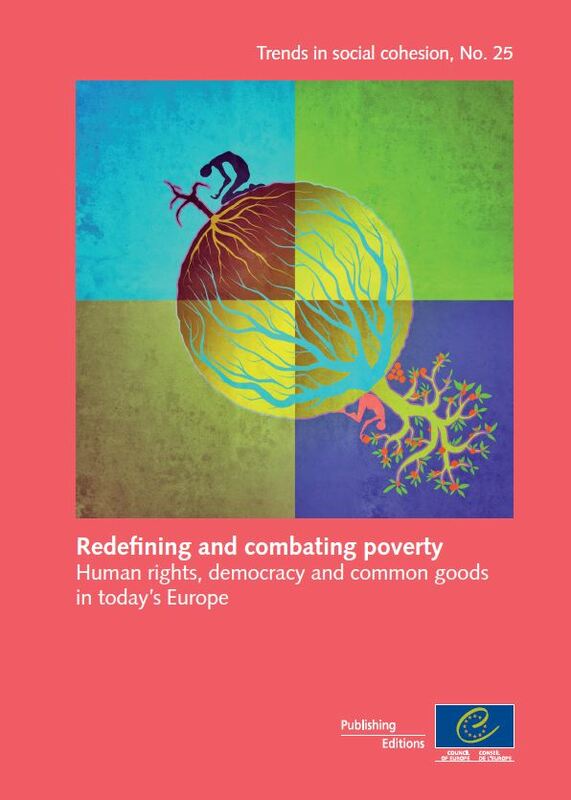 The European situation, which this publication aims to analyse, is painful: the entire continent is afflicted by increasing poverty and consequently by the erosion of living conditions and social conflicts. In these so-called “First World” countries a non-negligible proportion of inhabitants also live in impoverished conditions and are denied their rights. The economic and financial crisis has resulted in the loss of millions of jobs, and created job insecurity for many still working. Economic insecurity raises social tensions, aggravating xenophobia, for instance. Yet the economic and financial crisis could present a good opportunity to rethink the economic and social system as a whole. Indeed, poverty in modern societies has never been purely a question of lack of wealth. It is therefore urgent today to devise a new discourse on poverty. 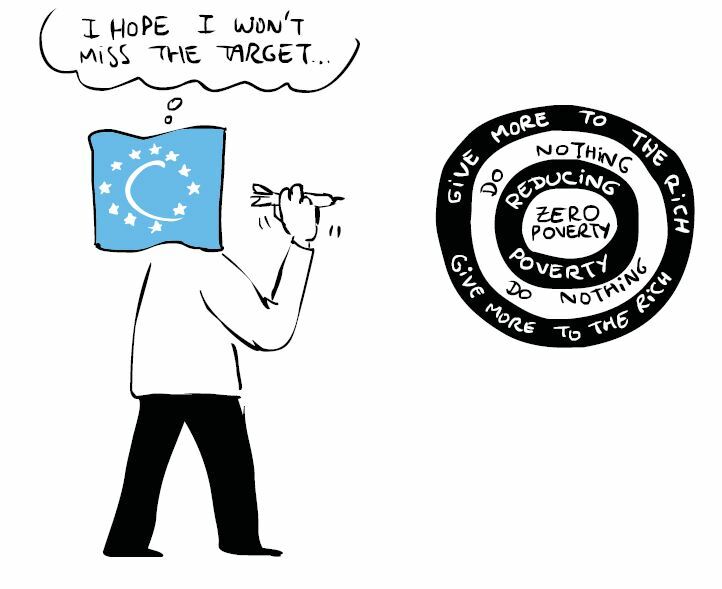 In pursuit of this goal, the Council of Europe is following up this publication in the framework of the project "Human rights of people experiencing poverty", co-financed by the European Commission. 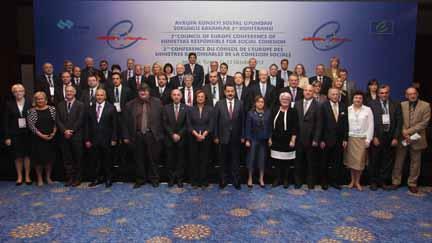 12/10/2012: An important declaration on “Building a secure future for all” was adopted by the Ministers responsible for social cohesion in Istanbul on 11-12 October 2012. In the words of Mr Faruk Çelik, Minister of Labour and Social Security of the Republic of Turkey during his concluding remarks this ministerial declaration will provide a guide “for us and for our governments” in the years to come. The priorities raised at the conference form an integral part of the ministerial declaration.(more...). 17/06/2012: The Edgeryders conference, “ Living on the edge” was held in Strasbourg on 14 and 15 June 2012. It provided an opportunity for the Edgeryders community and political actors at a European level not only to meet but also enter into constructive dialogue. The first day kicked off with an introduction of the people who were invited. These were high level officials from various European instiututions, as well as active members of the Edgeryders online community. Since its inception on the web, the project has sparked an in-depth reflection on a “different” vision present and in the future of young people in Europe throughout the various facets of their active lives (education, employment, culture and social activism). (more...). Latest on Edgeryders, Council of Europe/European Commission Joint Programme "Youth in transition to active lives"
18/04/2012: Edgeryders, the pilot project co-financed by the European Commission enhancing online political engagement, participation and collaboration of youth on their terms, gathers excellent data to evaluate youth policy. A seminar held on 15-16 March 2012 invited researchers and Edgeryders from the community to Strasbourg. It illustrated both the high quality of data collected to date, and the enthusiasm and potential for meaningful exchange between policy-makers and youth. Community members and contributions are increasing at an exponential rate (+20% content added in last 2 weeks alone) and the announcement of the major Edgeryders conference on 14-15 June is creating great interest. Formal research has begun on the ethnographic analysis of the experiences shared on the Edgeryders platform compared with existing European policies that hinge upon the transition of youth. 10/04/2012: Portuguese Ministry of Solidarity and Social Security signs Protocol of Collaboration with the Social Cohesion Research and Early Warning Division of the Council of Europe. The protocol commits the Ministry to promote and implement the Council of Europe Social Cohesion Action Plan for in Portugal. (more...). 2-3/04/2012: The Council of Europe team conducted a training session on well-being indicators for all with the Russian Union of Social Workers in Ulyanovsk at the start of April. The two days training resulted in an enthusiastic engagement on launching the first steps leading to setting up a Social Cohesion Action Plan in the area. The training sessions provided participants with the tools and knowledge to analyse the needs and potential of the population of 6 municipalities in terms of social cohesion and well-being for all. The training itself (more...).